Internet is what we can’t imagine a day without, it’s awesome in digging information around the world, share the mood, communicate and all, but no doubt some site needs lots of your time, probably few social networking sites and sometime you don’t want anyone to access the few sites on your computer. Here we gets the solution for all. 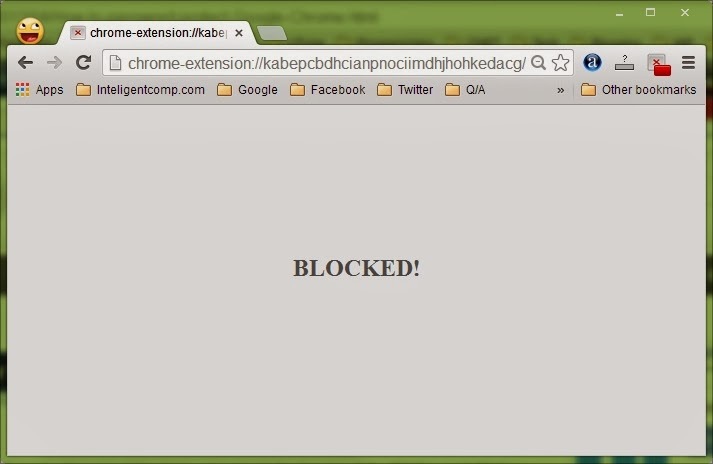 Hi everyone, while you explore the CES2014 events and informations, let me tell you how you can block sites on your Google chrome browser on temporary bases, specially which digs out and takes all your time to do nothing like Facebook and other sites that you don’t need and feels irritating when opens. Self-control is best way to do awesome things that are important and focus just on relevant things. Let do this small setup in minute and let me tell you how you can work with this. 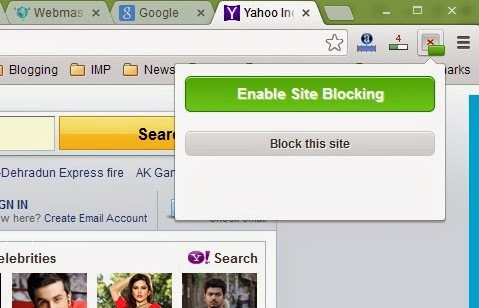 First of all Login to Google Chrome and Add TemporarySite Blocker to your Google chrome, its free extension which doesn’t works too intelligent, but still it can help you in better way. Now you can enable this extension to start works for you, just click on the icon on the top right and you will find the option to enable the Temporary site blocker, and this will wait for your instruction to block the site anytime you want. 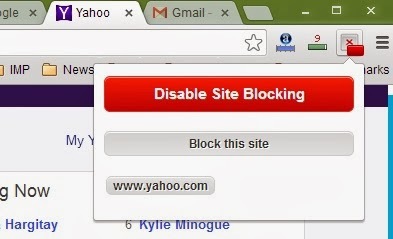 Once, now visit the site you want to block temporary, once its open again click the TSB button and you will find the option to block the site, once you block the site, it would be displaying below the button. Now site will blocked temporary and you are done. 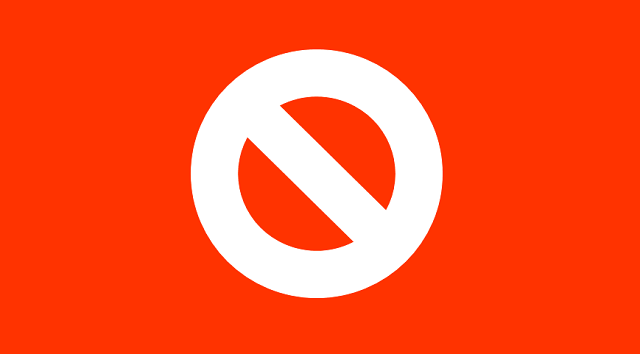 From now until you unblock the site again, site would not be open and user will see the Blocked warning for those blocked site. For more privacy and not interfacing with setting, you can hide the button so that they cannot use the Temporary site blocker to unblock. 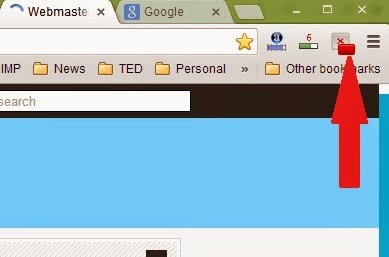 You can browse the entire chrome extension article, which will make your Google chrome powerful one. Do not forget to share this post on your social circle, and leave your comment below.